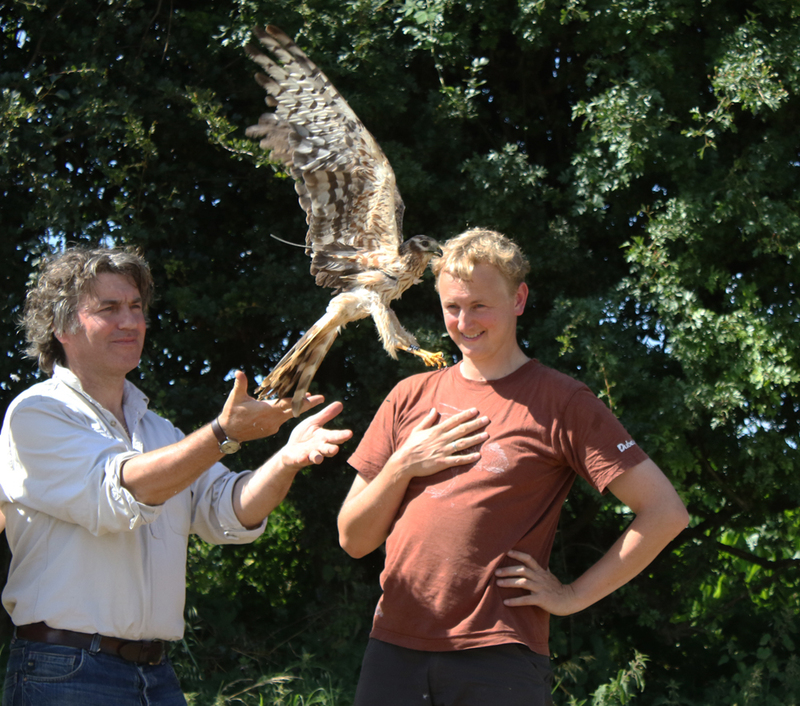 Over the past year Sally has been the ‘poster girl’ for Montagu’s harrier conservation, especially after being filmed by the BBC Autumnwatch programme having a satellite-tag fitted. She was paired with Roger another satellite tagged male Montagu’s harrier and has bred successfully in Norfolk for the past two seasons, raising a total of five juveniles. They are rare birds, in fact the only pair of Montagu’s harriers left in eastern England and one of only four pairs in the UK. Sally amazed everyone last winter by travelling the furthest south any tagged Montagu’s harrier has ever gone and wintered in Ghana. This year she timed her return migration to perfection, arriving back in Norfolk at the exact time as Roger and they met up once more over last year’s breeding field – we blogged about this and it featured on a BBC Radio 4 Farming Today broadcast. This year they successfully reared three juveniles, from a nest that was fenced from ground predators by the RSPB with landowner co-operation. This species is highly dependent on landowner support as they nest on the ground often in arable crops. The three juveniles were fitted with uniquely identifiable colour ringed and started moving away from the nest area two weeks ago. Data from the satellite tags told us that Sally and Roger remained in the wider nest area until last Sunday, when Sally went missing. Her satellite tag has been very reliable giving us a daily window into her life. Crossing the Mediterranean, facing inhospitable deserts for days on end and finally reaching her breeding home in Norfolk. So many times we have cheered for Sally when all the odds seemed against her. We know she roosted just North of Bircham Tofts, Norfolk on Saturday (5th August 2017) as we have several precise data points during the evening. She was then reliably seen by birdwatcher at mid-day on Sunday (6th August 2017) near her nest site. Finally we received data at 5.25hrs on Sunday (6th August 2017) telling us the tag had good voltage but this reading did not give an accurate location. The programming of her tag meant that we would have expected transmissions into that evening but we received nothing further despite a number of satellites passing overhead. Since then we have had no more transmissions and she hasn’t been seen despite searching. Roger has been at the nest site, alone. Satellite tags are highly reliable and will continue transmitting signals even when a bird is dead, so long as the tag is in daylight; this enables you to locate the body and tag. In fact, the Dutch Montagu’s’ Harrier Foundation recently located a tag on a dead Montagu’s harrier in Senegal, Africa over a year after the bird died, as the tag had reliably been transmitting a signal every day. Even if a tag is face down when a bird dies it will transmit a signal for several days until the battery runs down. We have checked the predicted satellite passes and we should have had quite a few over the proceeding days even if she had died naturally - we have had nothing from Sally. 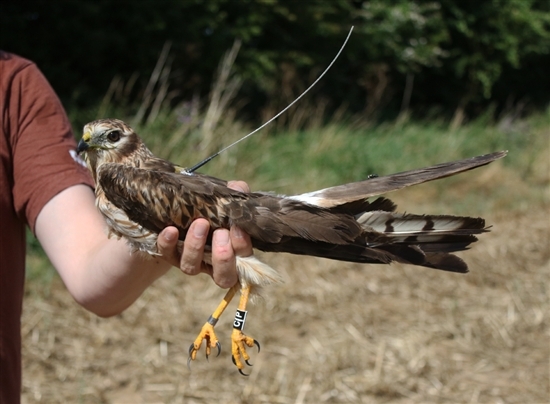 Scientist Raymond Klaassen who has been involved with satellite-tagging of Montagu’s harriers wrote the following blog explaining the excellent reliability of the tags. Sally has become a ‘catastrophic failure’ statistic and Norfolk Police have been informed. This is a major blow for this species in the UK and we are gutted. Sally - you were a remarkable harrier and have given us a clear insight in to the ecology and problems faced by this species.